I am an Assistant Professor of History at the University of Utah’s Asia Campus in Incheon, South Korea where I teach courses on US history and global citizenship. I am currently working on my book project, titled The People’s Park: Work, the Body, and the Environment in Radical Postwar Placemaking. In the fall of 2017 I defended my dissertation to complete my Ph.D. in American Studies at Purdue University. I received my Bachelor of Arts degree in History from Agnes Scott College in 2009 and Master of Arts degree in American Studies from Purdue University in 2011. I specialize in twentieth-century U.S. social and cultural history, and my research and teaching focus on identity in American visual and material culture. I have taught a variety of undergraduate and graduate courses across five universities. Between 2016 and 2018 I taught six American Studies courses in the University of Hawai’i system at UH Manoa and Honolulu Community College. For the 2016-2017 academic year, I was awarded a Purdue Research Foundation Fellowship to complete my dissertation titled, Radical Manifest Destiny: Mapping Power in Urban Space in the Age of Protest, 1968-1988. My dissertation examines the urban realm as a contested territory in the late twentieth century. This project traces a transnational movement of activist coalitions that illegally occupied, created, or reclaimed green space as a method of protest in the late-Cold War era. Between 2015 and 2016, I spent more than 100 days in archives conducting archival research as part of my dissertation – across more than 15 repositories in 7 states. This research has received numerous awards, grants, and fellowships, including being awarded a 2016 Semi-Finalist for a special-themed Fulbright, the National Geographic Digital Storytelling Fellowship. On this website you’ll find my research interests and current projects, links to my blogs, academic and professional networking sites, and social media accounts (see left). Additionally you can follow my interdisciplinary research and community engagement by following me on social media. I look forward to hearing from you! I have taught a variety of university-level interdisciplinary courses (undergraduate and graduate) across five universities. You can see some of my student work at GlobalFoodStudies.com and TeachingWithPodcasts.com. In the fall of 2018 I began a faculty position as Assistant Professor at the University of Utah’s Asia Campus in Incheon, South Korea, where I teach courses on US history and global citizenship. My courses focus on using independent research and experiential learning to personalize the classroom, with the goal of making learning not only engaging but transformative. I have taught undergraduate and graduate courses across three states and three countries. In 2015 I taught two self-designed courses on American body politics and transnational American youth histories in Purdue University’s American Studies program. In 2016 I taught two graduate-level courses – one an advanced writing course advising MA thesis projects in Ball State University’s Master of Urban Design program, and another an advanced seminar on American Studies in the School of Architecture at the University of Hawai’i, Manoa. From 2016 to 2018 I taught American Studies courses in the University of Hawai’i system as well as global studies courses online in the Department of Humanities and Interdisciplinary Studies at Southern New Hampshire University. Across the board, my discussion-driven courses emphasize critical analysis and evidence-based argumentation, and reinforce the importance of strengthening arguments using multiple forms of communication. In the words of Mrs. Traci Jones, my ninth-grade English teacher, “Repetition equals importance.” I believe that practice – through writing, speaking, reading, discussing, arguing, teaching, and learning – is the key to sustainable success. In particular, my courses thrive on group exercises that center discussions of disempowerment and resistance in cross-cultural, transnational US histories. The central thread through all of my research is my analysis of the relationship between identity and citizenship — or how we know who we are and how that who we are is regulated. In my dissertation I research how postwar activists understood this relationship as rooted in practices of police violence and urban renewal and histories of colonialism. Two undergraduate courses I’ve taught in American Studies focus on this relationship between identity and citizenship. My spring 2015 course “Blood, Bones, and Brains” examined twentieth century US history through the lens of the body, and focused on how the body became a canvas for self-definition and regulation. My summer 2015 online course “Youth Cultures” used Tumblr to facilitate discussion about how American youth identity is continually constructed as both youthfully beautiful and immaturely undeveloped. Additionally, I’ve conducted research on the high school women’s liberation movement between the mid-1960s and mid-1970s. My paper, “Girls Are Equal Too: Education, Body Politics, and the Making of Teenage Feminism,” published in the academic journal Gender Issues, analyzes how teenage girls began to articulate how their age shaped their unique experience with sexual discrimination. Another version of the article was published in Black Perspectives, the online journal of the African American Intellectual Historical Society. In particular, in this paper I focus on how teenage girls articulated feminism through their own perspectives and bodies. Letters and essays written by teenage girls during this time demonstrate how girls saw feminism as a tool to challenge gender role socialization and build a supportive and collaborative community of girl activists within this revolutionary context. Ultimately, by challenging age divisions between the adult-dominated face of the Second Wave and the girl-focused Third Wave, this paper uses the voices of teenage girls to shed light on an earlier movement of “girl power” that has yet to be excavated. This poster was created by See Red Women’s Workshop – a British women’s liberation graphics collective. See this poster and more of their work by clicking on this image. I approach the topic of space as a visual and material culture – an active medium for constructing a spectrum of intersecting identities. On my blog VisualizingSpace.com I share my thoughts, favorite sites, and ongoing projects connecting spatiality and visuality. As a digital humanities component of my first book project, I am in the process of using GIS to map census data onto my maps of activist-created public green spaces. These parks existed within a constellation of postwar Left political territories as well as major urban renewal projects. Now in the process of pursuing external funding through NSF for this geo-spatial research, visualizing this information will help us understand why these anarchist sites emerged where they did that will provide further insight into the relationship between activist identities and place-making. As an extension of my dissertation research, my project proposal for the 2015-2016 National Geographic Digital Storytelling Fulbright, awarded semi-finalist, focuses on the relationship between space and power. The project, titled “Grass/Roots,” compares and maps spatial and environmental power by analyzing how people occupy, reclaim, and create public green spaces in South Africa, New Zealand, and the UK. The project combines ethnographic interviews, site and event documentations, weekly self-produced informational graphics, and a cumulative cultural atlas illuminating connections among my case studies and their intertwined colonial histories. I blog my thoughts and projects on food studies on my blog GlobalFoodStudies.com. In 2014 I was awarded a $10,000 exploratory research grant to study transnational American food studies at the World Expo in Milan Italy in May of 2015. As part of this grant I worked with Dr. Simone Cinotto at the University of Gastronomic Sciences in Pollenzo, Italy, before organizing a symposium with him as keynote at Purdue University in October of 2015. The symposium, called “Global Food: Local Perspectives,” offers an investigative look into how food production and consumption is transnational — even in West Lafayette, Indiana. Since then, I have integrated food studies into my dissertation and teaching. I can’t always get students to read my feedback, so this year I decided to try something different and include students in the process. I had students peer review their first paper. Afterwards I gave them a brief overview of my main feedback comments so they could go ahead and know up front the range of possible comments. Then, I had them work in groups to “GIF” my feedback. Each group had about 10 minutes to use an app or site to create a GIF that centered one of my main comments I normally write on papers. They were encouraged to take creative liberties to make it funny, thinking about what GIF they might want to see when receiving this feedback. Here are some of their results as well as some I added while grading throughout the semester. I’m always looking for more GIFS, so if you try this with your class, please tweet your results! If you tag me @keralovell, I’ll happily retweet! As an expansion of my dissertation, my book project titled, The People’s Park: Work, the Body, and the Environment in Radical Postwar Placemaking, traces the transnational People’s Park movement of insurgent park creation as a method of protest against urban renewal. Having conducted archival research across seven states, this work breaks ground by documenting more than four dozen People’s Parks created after one of the first in Berkeley, CA in 1968. 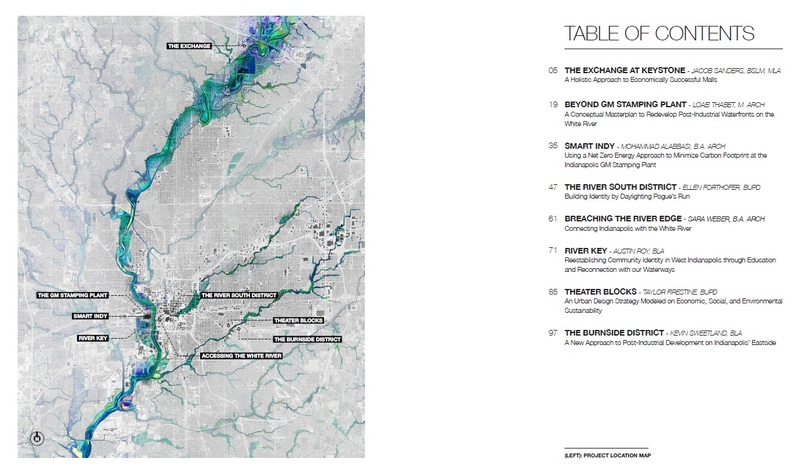 Utilizing a wide range of archival collections, oral history interviews, and spatial analysis, I argue that as practices of experimental community-based urban design, insurgent place-making initiatives—such as the illegal takeover of vacant lots and the anarchist creation of free public green spaces called “People’s Parks”—at times, facilitated cross-cultural coalitions that transcended ethnic, racial, and national borders. My dissertation, Radical Manifest Destiny: Mapping Power in Urban Space in the Age of Protest, 1968-1988, traces the transnational People’s Park movement of insurgent park creation as a method of protest against urban renewal. Linking these spaces together, my project analyzes how these parks were designed and built by coalitions, and ultimately regulated by police and bureaucracies. I argue that this medium of protest attracted diverse groups of activists, urban design professionals, and urban residents who used the basic components of these parks—landscape architecture, public art, and shared food consumption—to create a diverse community of resistance across ethnic distinctions and national borders. The process of design and construction of People’s Parks served as a form of empowerment, a medium for memorialization, and a tool for coalition-building. By blurring the lines between public and private property ownership, People’s Parks became politically playful techniques for individuals and groups to draw attention to disempowerment and reclaim full access to American citizenship. You can read more about my research in my article “‘Everyone Gets a Blister’: Sexism, Gender Empowerment, and Race in the Peoples Park Movement.” published in the Fall 2018 issue of Women’s Studies Quarterly. Historiography on postwar urban protest and cross-cultural environmental organizing is rich, yet no historical scholarship traces the significance of socialized urban green space as a method of postwar protest. Conventional narratives of post-World War II activism have largely ignored tactical urban environmental place-making as a method of civil disobedience, and, in doing so, have neglected to analyze how issues over power in urban space shaped the meanings and methods of protest from the late-1960s to late-1980s. Nestled within scholarship on utopian communalism, cross-cultural political organizing, and urban planning lies the undocumented history of public protest advocating for bottom-up or “community-based” urban design. Despite the proliferation of guerrilla gardening, the tactical creation and reclamation of urban green space remains highly political. Ultimately, by gaining insight into how urban green space emerged as a medium for activist identity formation and self-making across borders of identity politics and political movement boundaries, we can better understand how access to and power over urban green space remains a cross-cultural power struggle within contemporary cities. Two weeks in the Special Collections at UIC’s Richard Daley Library as a Short-Term Travel Fellow resulted in significant finds for my research on illegal activist-created parks in the late-1960s and early-1970s. These parks emerged at the intersection of several political forces: anti-urban renewal activism, environmentalism, hippie utopian communalism, anti-colonial land sovereignty organizing, and racial self-determination movements that were made visible in the visual, spatial, and material culture of these protests. In particular, documents in the North Side Cooperative Ministry Collection and the Institute on the Church in an Urban Industrial Society Collection have been the most rewarding, offering unique primary and secondary sources that trace local urban renewal plans and policies pushed by the pro-Daley Lincoln Park Conservation Association and community outrage against the turmoil caused by urban renewal. See this political cartoon in the Lincoln Park Press in the Institute of the Church in an Urban Industrial Society Collection at UIC Daley Library. Meeting minutes, correspondence, community event flyers, and the neighborhood newspaper Lincoln Park Press/La Prensa evidence how an activist coalition formed between the Puerto Rican Young Lords, the white, working-class Young Patriots, some local churches, and the Lincoln Park Citizens Survival Front (with leadership from Pat Devine and Jim Reed). See this flyer in the North Side Cooperative Ministry Collection at UIC’s Daley Library. Most importantly, these documents confirm the existence of Lincoln Park’s People’s Park – an illegal, activist-created green space built on a vacant lot at the corner of Halsted and Armitage that was constructed as a protest against urban renewal and police brutality. Evidencing the park’s appeal across political boundaries, a story from the Chicago Sun Times and a later flyer by the feminist Chicago Women’s Liberation Union both site how housewives, hippies, kids, and Puerto Rican nationalists all worked to clear the lot and convert it into a garden and Leftist public event space. As illuminated by documents in these collections, the creation of this People’s Park on a privately-owned vacant lot emerged within many intersecting layers of repression: black students at Waller High School (across from the park) had just recently led a school boycott to protest racist hiring practices and curriculum, activists were in the process of protesting the expansion of McCormick Theological Seminary into bulldozed property once-rented by Puerto Ricans, and the Young Lords had only months prior commandeered control of Armitage Methodist Church to offer a free breakfast program and day care center. See this document in the North Side Cooperative Ministry Collection at UIC Library. In addition, the Immigrants Protective League Collection included a pamphlet from the Open Lands Project that enables me to situate the park and activists’ environmental demands within broader discourses concerning access to safe, healthy, open green space in light of mid-century urban renewal upheaval. See this document in the Immigrants Protective League Collection at UIC Library. Additionally, the Daley Collection includes the non-digitized closing argument in the Chicago 7 Conspiracy, using similar language of activist territoriality and sovereignty in Yippie activist control over Grant Park during the Democratic National Convention more than a year earlier. Taken together, my research has revealed new layers of complexity embedded within discourses on power over access to and design of urban space that cross racial, gender, class, religious, and political borders, fueling a cross-cultural coalition of activist park creators within this moment in time. 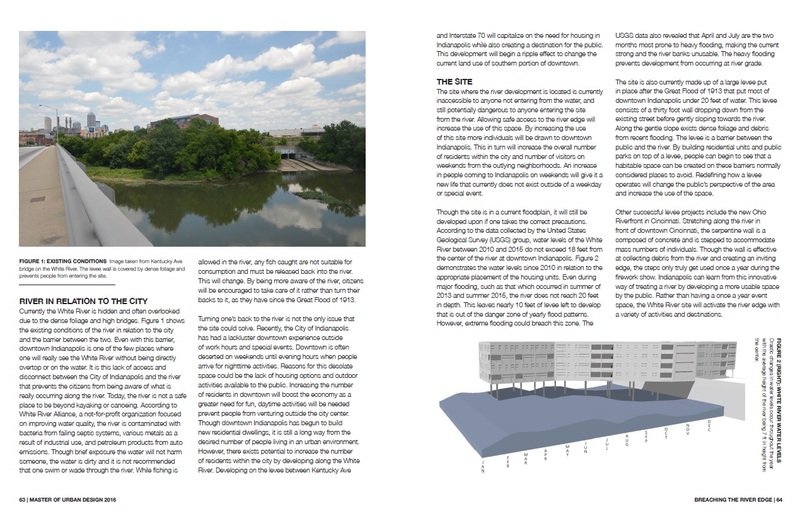 During the summer of 2016 I worked with a handful of graduate students in Ball State University’s Master of Urban Design program advising their graduate theses. Taken together, they all tackled different sites in the Indianapolis-area that could better capitalize on existing yet underutilized waterways to accomplish the following tasks: drive job development, provide housing and social services, improve hydrological function, and create new, environmentally-sustainable urban green spaces. Each project begins by addressing the plethora of current problems plaguing the Indianapolis area, including vacancy, pollution, demand for housing, green-area development, and more. 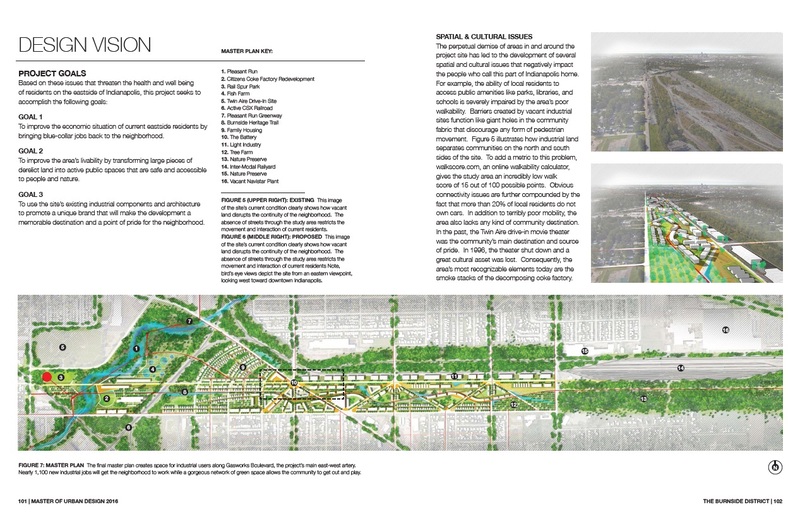 Each urban designer offers a cohesive, sourced, and detailed argument as to why their project is the best fit for their chosen site, providing expertly-crafted visuals to demonstrate how their designs will be experienced by Hoosiers on the ground. 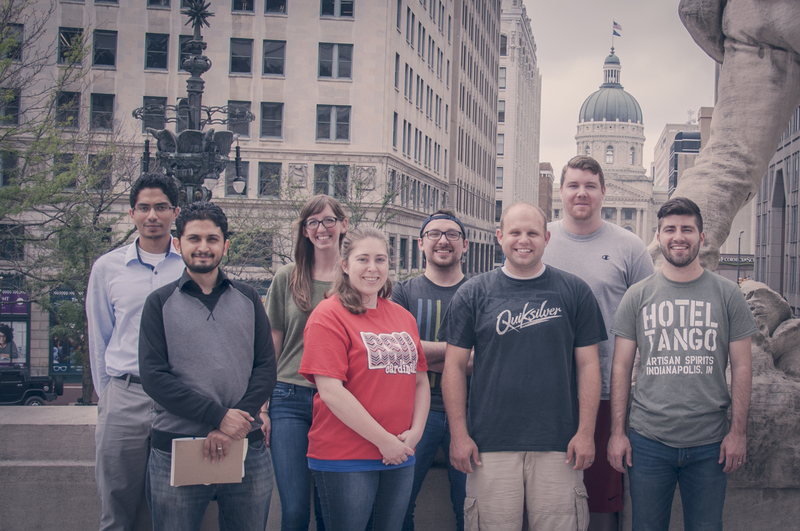 2016 Ball State University alums of the Masters in Urban Design program are (left to right): Mohammad Alabbasi, Loaei Thabet, Ellen Forthofer, Sara Weber, Taylor Firestine, Jacob Sanders, Austin Roy, and Kevin Sweetland. I am so proud – so excited – to share their final works collected in this text and hope to work with them on publishing in academic and professional journals in the near future! 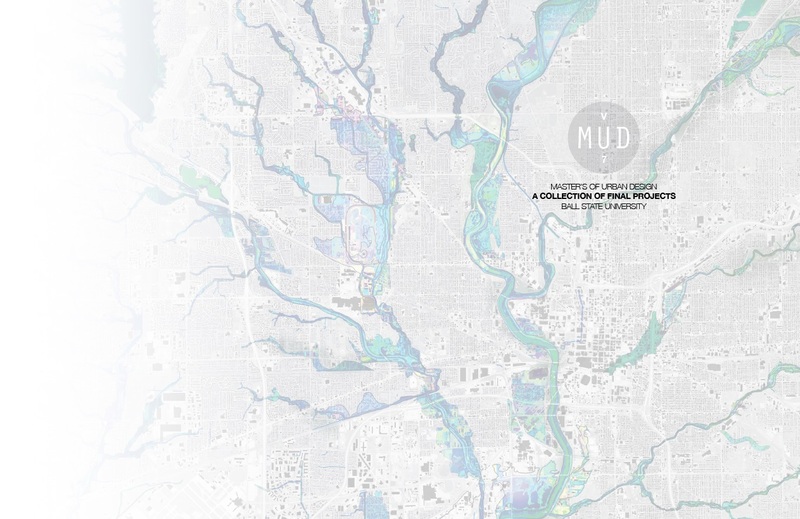 Join me in congratulating these urban design professionals on graduating! Well done, team! It’s a hefty file (linked below), so here are a few snapshots with their authors and abstracts. 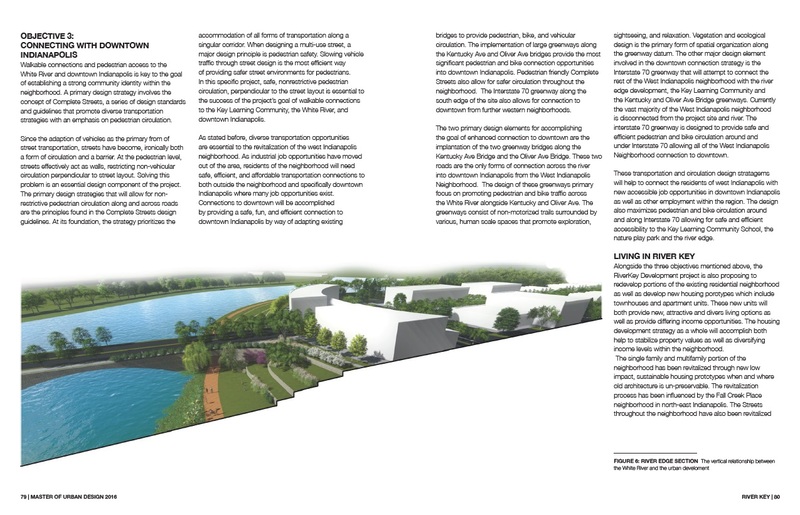 An excerpt of Jacob Sanders’s MA thesis in Urban Design, Ball State University (2016). 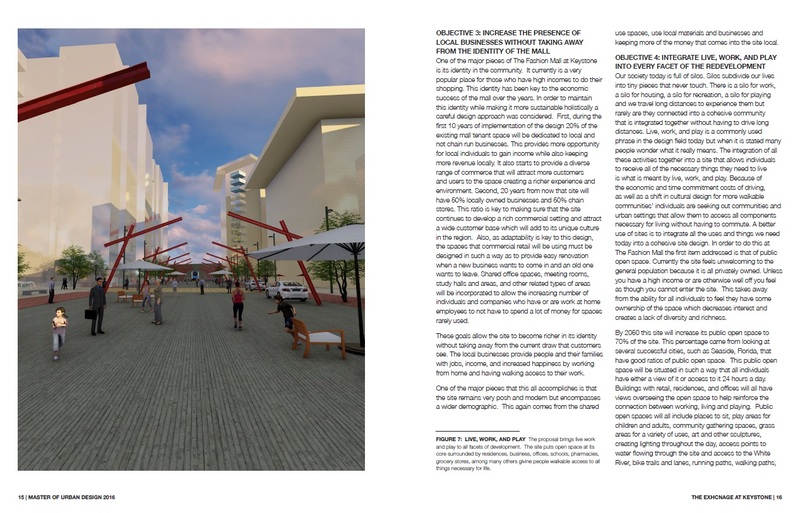 An excerpt of Loaei Thabet’s MA thesis in Urban Design, Ball State University (2016). 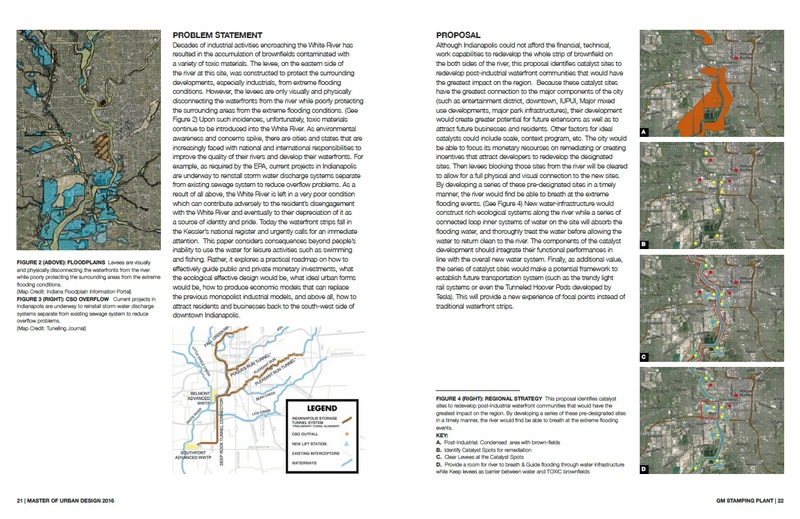 An excerpt of Ellen Forthofer’s MA thesis in Urban Design, Ball State University (2016). 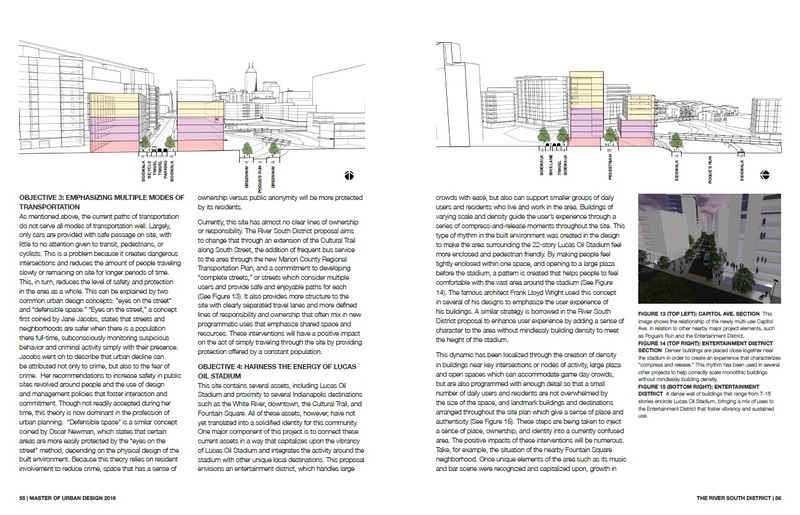 An excerpt of Sara Weber’s MA thesis in Urban Design, Ball State University (2016). 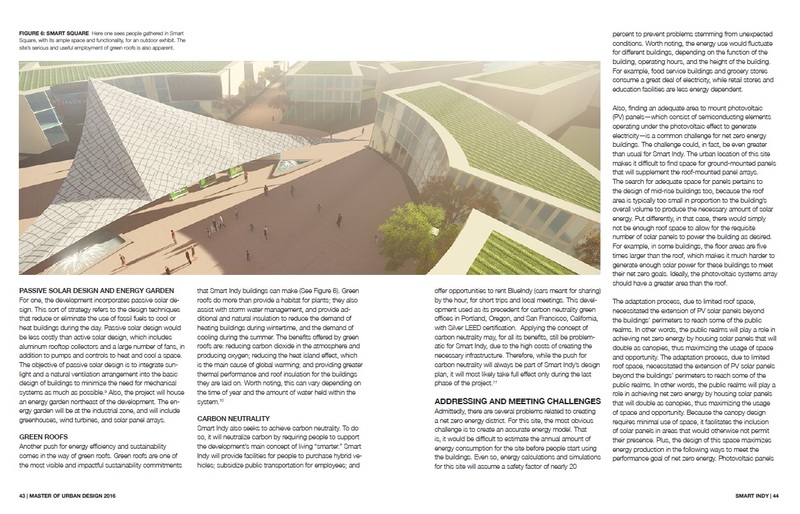 An excerpt of Austin Roy’s MA thesis in Urban Design, Ball State University (2016). 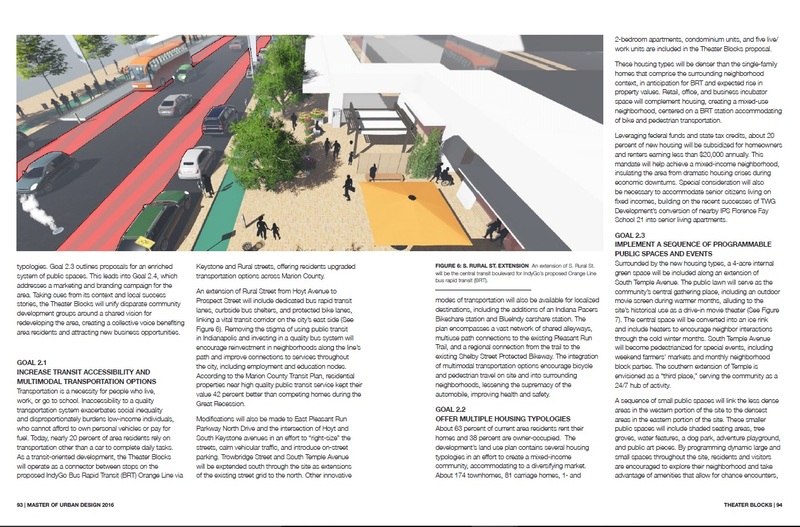 An excerpt from Taylor Firestine’s MA thesis in Urban Design, Ball State University (2016). An excerpt from Kevin Sweetland’s MA thesis in Urban Design, Ball State University (2016). For the most up-to-date list of grants and fellowships I have been awarded, see my list of Scholarships, Fellowships, and Awards. Additionally, you can read Press on these awards as well as how my work has reached broader academic and public audiences. Most recently I was awarded Special Recognition by the Graham Foundation for the 2017 Carter Manny Award in architectural history. In 2016, I was awarded by the University of Illinois, Chicago’s Richard Daley Library a Short-Term Travel Fellowship – offering funding to spend the month of August, 2016 in the archives. Read my brief mid-month research report and see photographs of my findings here. Thanks to the Hoover Institution, the University of Illinois, Chicago, Michigan Tech University, the University of Michigan, Ann Arbor, the Wisconsin Historical Society, and Purdue University for awarding me with archival research grants.